Now that we are moving into the hotter months of the year, we hope that you’ve got your air conditioner up and running properly and that is has been well-maintained throughout its lifespan. Just remember, though, that even the best air conditioning systems on the market today, and even those that are most well-maintained, are going to encounter operational problems at some point. 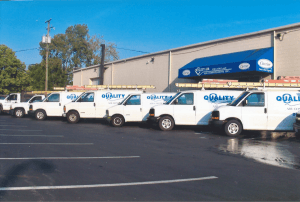 When your system begins to exhibit signs of trouble, you need to schedule your air conditioning repairs in Columbus, OH as soon as possible, as problems are only going to worsen with time. Here are a few tips to help you to identify the need for repairs. We discussed the issue of refrigerant leaks in some depth last week, but the issue bears repeating if you missed that post. Some people mistakenly believe that ice on their air conditioning systems simply means that the system is working very well, perhaps cooling a bit too effectively. In truth, though, this is likely a sign that you have a refrigerant leak in your system. It could also merely indicate that you are in serious need of a new air filter, though. Our technicians can determine the precise nature of the problem, and will resolve it entirely. Does it seem as though it is costing more than it used to in order to cool your home? If so, you may need to have your air conditioning system repaired. There are a number of different problems that could lead to increased cooling costs, as a system that must work harder in order to cool a home is inherently going to use more energy than it should have to in order to do so effectively. Your air conditioner is, of course, not going to operate silently. However, it also should not be making unusual, loud, or alarming sounds. If you hear grinding, hissing, screeching, or other unfamiliar noises coming from your system, dial our number right away. Schedule your AC repairs with Quality Air Heating and Air Conditioning.